BEACH & GULF VIEWS + TWO ASSIGNED PARKING SPACES (1 is covered/under building) at Driftwood Sands, ON the soft sugary sands & clear, calm waters of IndianRocksBeach ..... 3 BR "split plan" featuring a wood burning fireplace & laundry room ..... Gulf Beach VIEWS from all living areas, kitchen, & balcony ..... peek-a-boo Gulf views from 2nd & 3rd BRs..... Enjoy quiet mornings & spectacular evening sunsets on your balcony ..... Electric hurricane shutters ..... There's plenty of space for dining & lounging Seaside, and even an OUTDOOR KITCHEN boasting 3 grills (gas & charcoal) + a shady Gazebo w granite wet bar ..... covered kayak & bike racks + your own private ground floor owners storage closet #6 in prime location for all your beach toys ..... Secure building w 2 elevators ..... PET FRIENDLY to 25lbs ..... $614 monthly HOA fee includes building flood insurance & maintenance, landscaping, water, trash, cable/Internet, full time Supervisor of Maintenance. Well run HOA, beautiful well maintained green areas ..... Bordering the upscale community of Belleair Beach, DWS is located a quick stroll to parks, playgrounds, restaurants- even a French bakery! ..... IndianRocksBeach - the "Mayberry of the Gulf Beaches"- is a GOLF-CART COMMUNITY boasting it's own local ART CENTER. It's away from the hustle and bustle of city life yet a quick drive to vibrant Downtown St.Pete culture/art/dining or Tampa Airport ..... Furnishings included except TV's & personal items ..... The BEST VALUE on the beach is waiting for YOU! 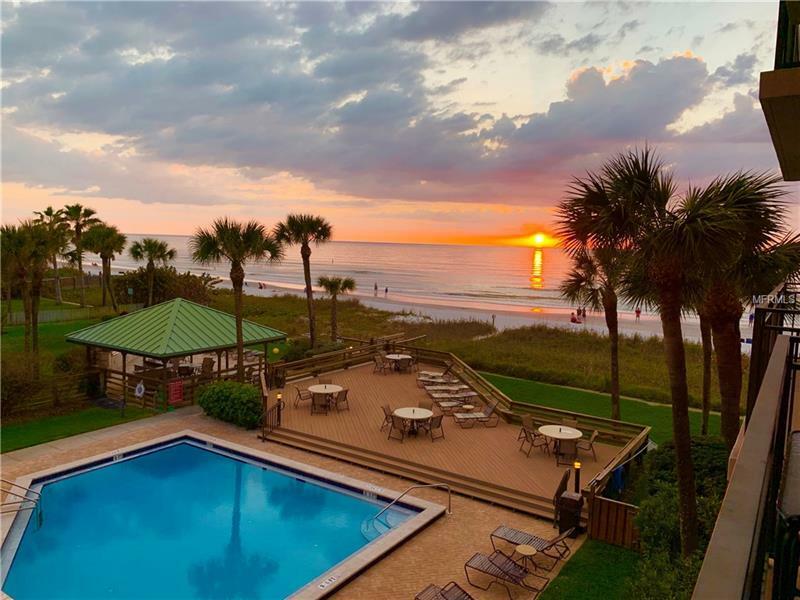 Additional Water Information: Driftwood Sands in located directly ON the sands of Indian Rocks Beach, with beach & Gulf / Ocean views from Condo #207. Pet Restrictions: 2 cats or 1 dog up to 25 lbs at maturity.